With the Eames Colour Selection, the well-known and popular Eames Plastic Chairs by Charles & Ray Eames shine in a new, contemporary light. 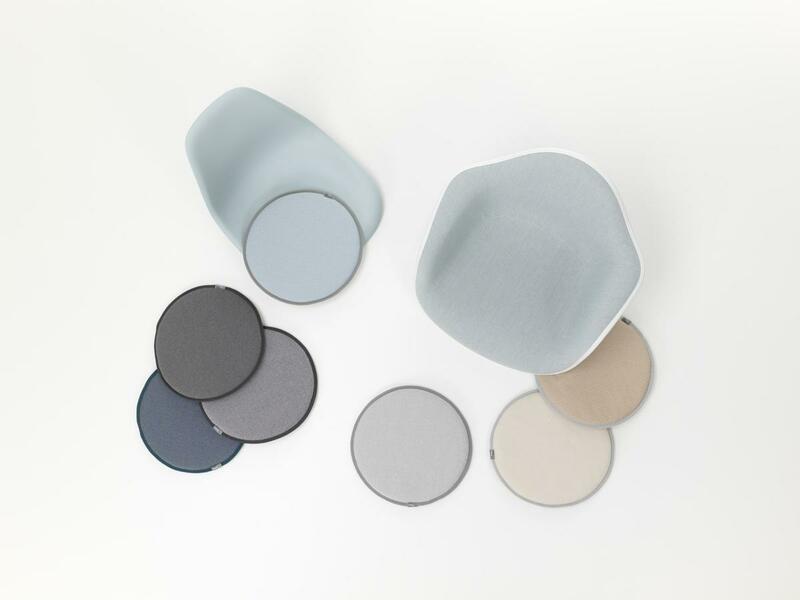 From the existing colour portfolio of the Eames Chairs, Vitra have curated a special colour collection in bluish and grey tones. The subtle nuances of the shell colours, frames and upholstery combinations reveal the distinctively changeable character of the Eames Plastic Chairs. 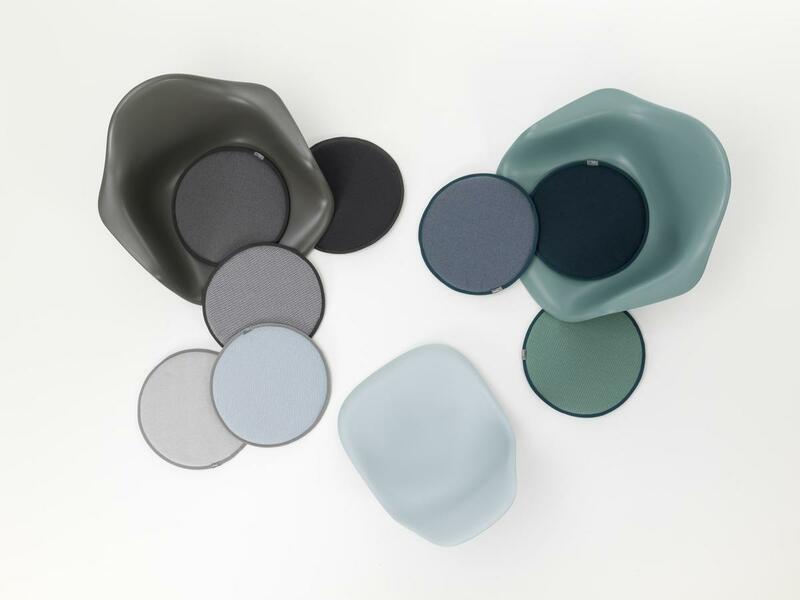 With the Colour Selection the Eames classics from the 1950s ably demonstrate that they can keep up with contemporary Scandinavian furniture trends. 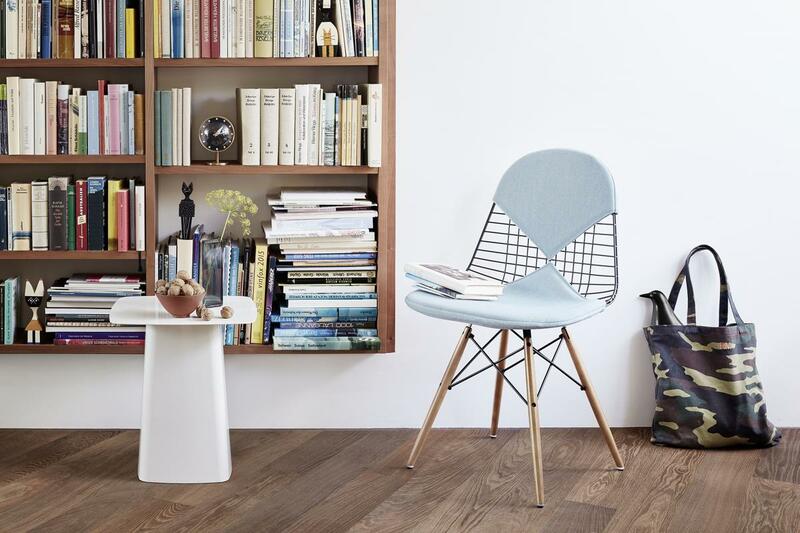 The DAX chair by Vitra combines the seat shell of the Eames armchair with a classic four-legged base. The Eames DAX design was revolutionary at the time, but thanks to its simple and timeless design, it was also, and has remained contemporary. Thanks to a wide range of colours the Vitra DAX is visually extremely versatile and creates an exciting ambience, especially when different shell colours are combined. And if you opt for a powder coated base frame with the DAX, the Plastic Chair can also be used outdoors - making it a real all-rounder. Charles & Ray Eames experimented with materials such as moulded plywood and aluminium for some years, before finally presenting their Wire Chair series in 1951, one year after the release of their legendary Plastic Chairs, whose shell was made of fibreglass. 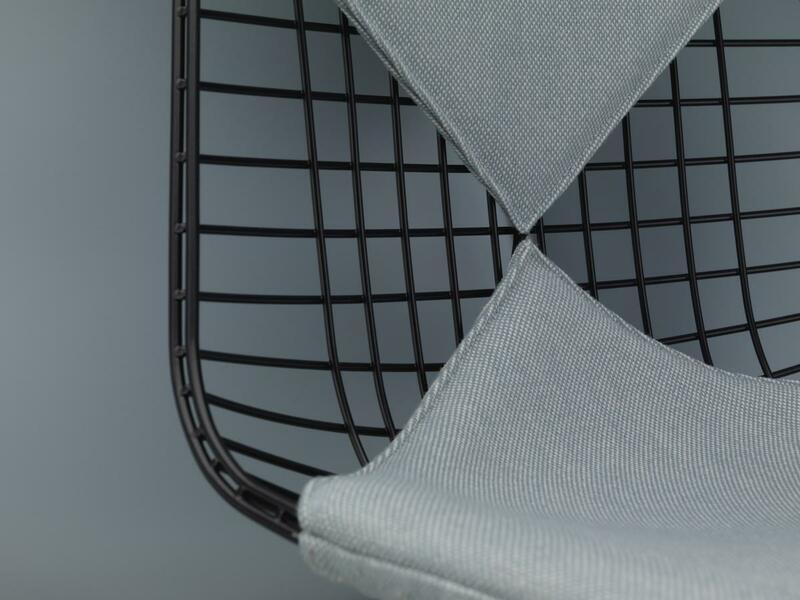 In the case of the Wire Chairs , for example, the DKW, the seat and back are made of an ingenious system of bent and welded steel wire. 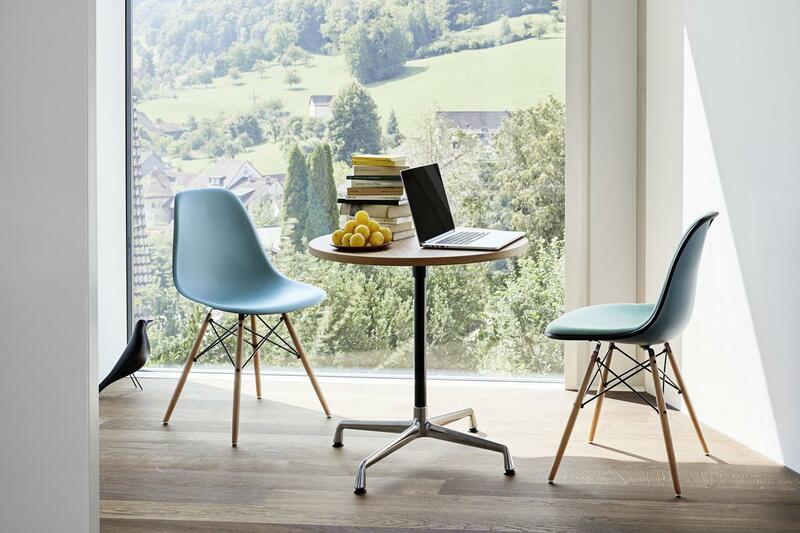 An established design classic the DKW with its wooden base frame is extremely comfortable, especially with its distinctive bikini seat cushion, which makes the Vitra chair even more comfortable and versatile. Here the combination of wood, metal and fabric remainexciting, be it with a cushion in Scandinavian-simple ice blue or in the cheeky Checker version, which, as the name suggests, is reminiscent of a chess board. 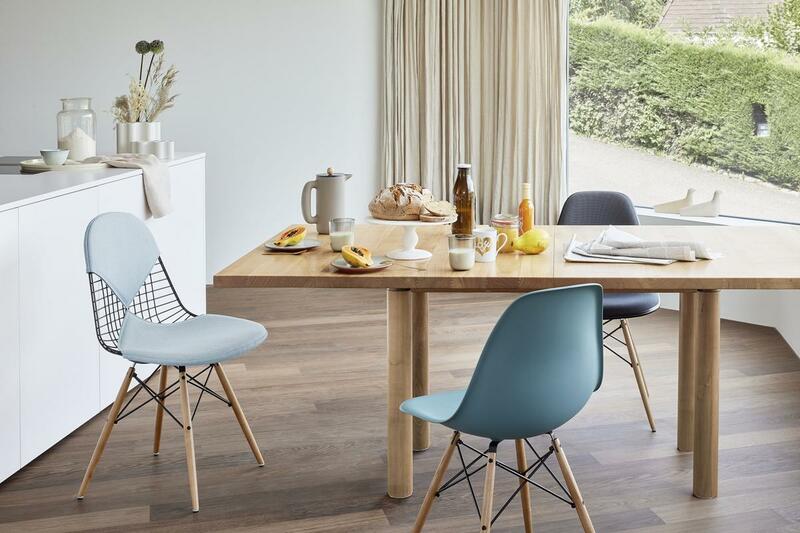 The Eames Dining Sidechair Wood, DSW for short, is probably the best-known of all Eames Plastic Chairs. Created in 1950 as part of a MoMA design competition, the DSW can be found today in countless households or in the hospitality industry thanks to its intuitive, timeless design. 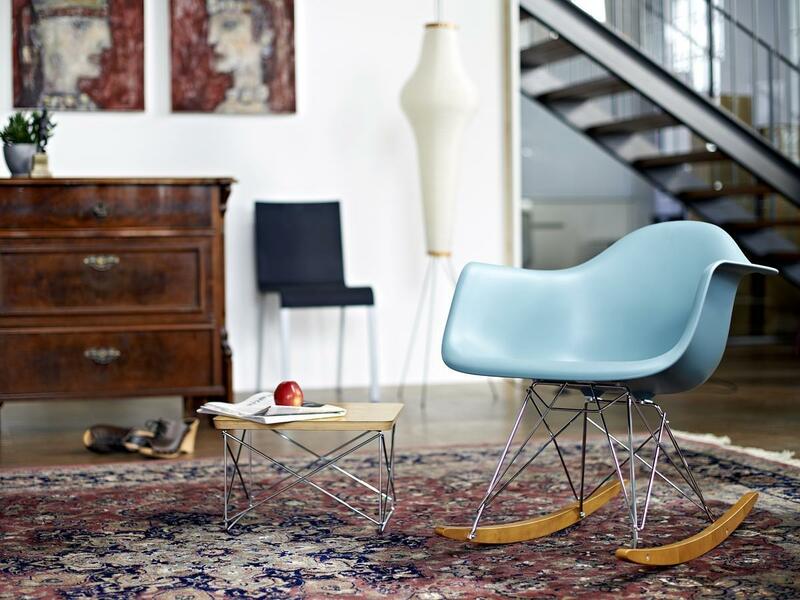 With its innovative construction of a warm wooden base and one-piece seat shell, the Eames DSW is undoubtedly one of the most popular design classics of the 20th century. And when the DSW is supplemented with a full upholstery or seat cushion, the Eames chair becomes even more comfortable and individual. The Scandinavian colour scheme, which Vitra and Hella Jongerius put together, makes the Eames Chairs appear more modern than ever and demonstrates how versatile the popular chairs are. A chair in which virtually everything can be individually combined: be it a wooden base in yellowish maple, a black four-leg base for outdoors or the rocking chair variant with runners; be it a seat shell made of plastic or aluminium, with or without armrests; be it a discreet Seat Dot, an extravagant bikini seat cushion in the Checker version or a full upholstery in modern shades of green ... It is not for nothing that Charles & Ray Eames chairs have entered the design history books and are still to be found everywhere today - in the dining room, in the home office, in the garden, in the urban café or in the reception area! 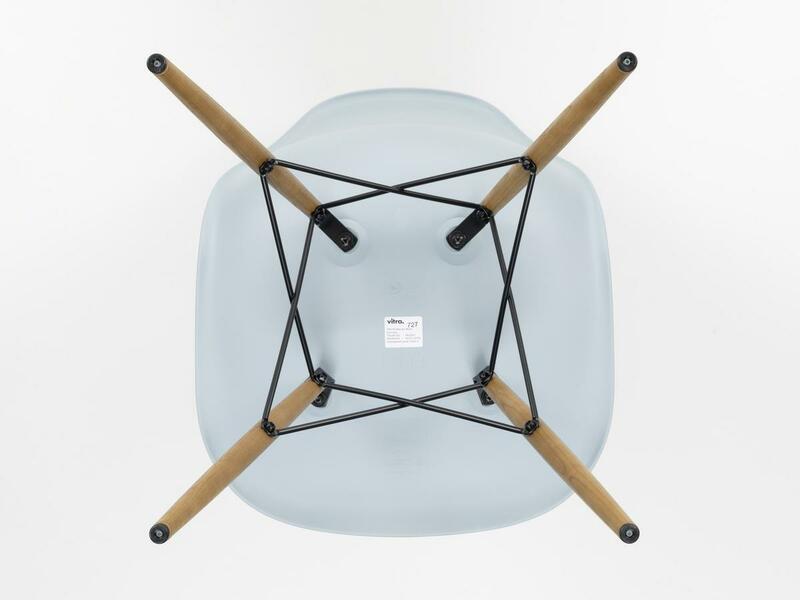 The Eames Chairs are among those design classics that are copied again and again. However, such plagiarisms usually have shortcomings in terms of quality and appearance. If you take a close look at an alleged Eames Chair, you quickly realise, however, whether it is an original or a plagiarism. 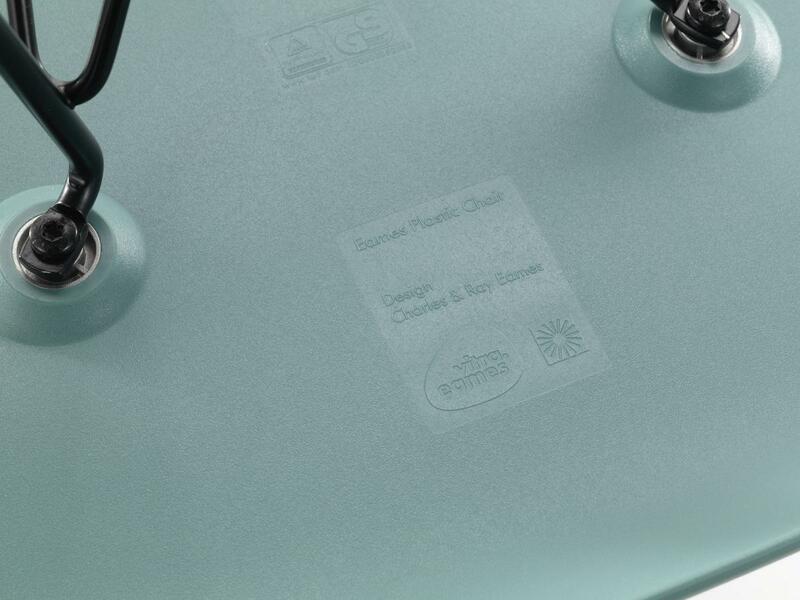 In addition to precise, high-quality workmanship, it is easy to see, for example, on the underside of an Eames Plastic Chair, whether it is genuine - for example, has a stamp and a sticker that certify the authenticity of the chair. Even at the price plagiarism can usually be recognised quickly: plagiarisms are usually offered at significantly lower prices than originals, so you should not be blinded. Low prices of alleged originals are based more on cheap materials, imprecise operation, low labour costs, non-existent development and marketing costs, non-participation of designers and their heirs to commercial success, the saving of service and warranty services and the like. 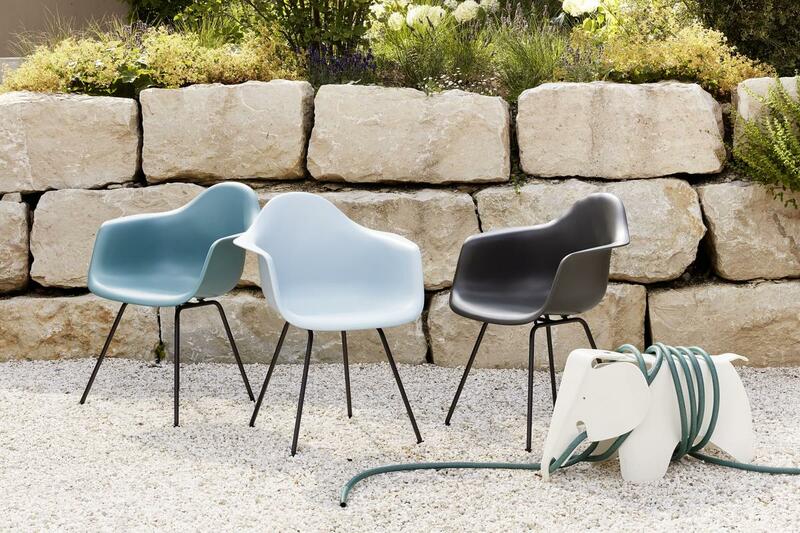 So choose one of the countless colour variations of the original Eames Chairs and opt for a piece of design history in the spirit of designer Charles & Ray Eames. The RAR by Charles & Ray Eames demonstrates once again how versatile the Eames Chairs are: not only outdoor chairs, dining chairs or chairs for the waiting area, but also rocking chairs join the sheer endless variety of Eames' designs. The RAR rocking chair has the same characteristic plastic seat shell as the DAW or DAX chairs, but its wooden rockers make it a very unique type of chair on which you can make yourself particularly comfortable. 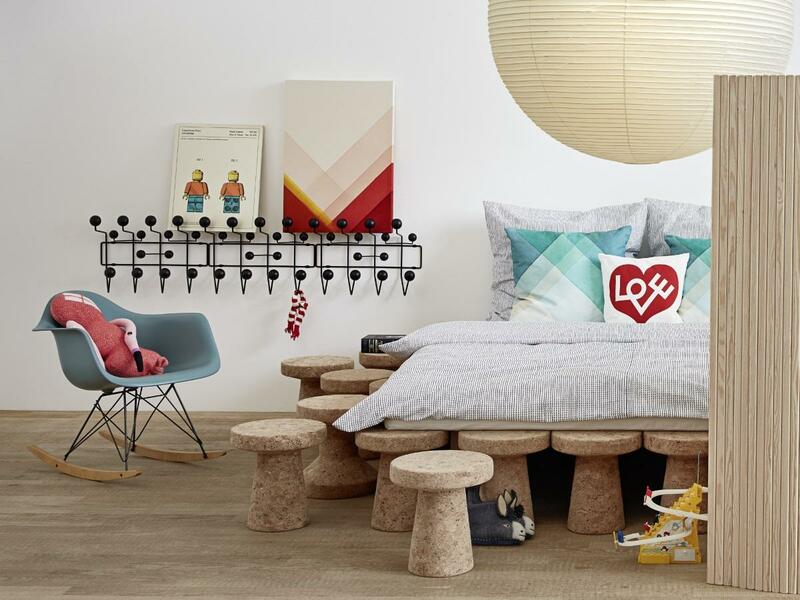 The Eames RAR makes every room a little more homely, and fits perfectly in fresh, Scandinavian touched tones such as ocean or ice grey optimally in any contemporary home. The Dutch color expert and designer Hella Jongerius developed the Vitra Colour & Material Library, which shows a wide variety of colour worlds. The compact Seat Dots are a prime example of the sometimes powerful, sometimes gentle, but always harmonious colour combinations from the pen of Jongerius: the two sides of the Vitra Seat Dots are made of different fabrics and colours and make the designer chairs, which complement them shapely, even more diverse. 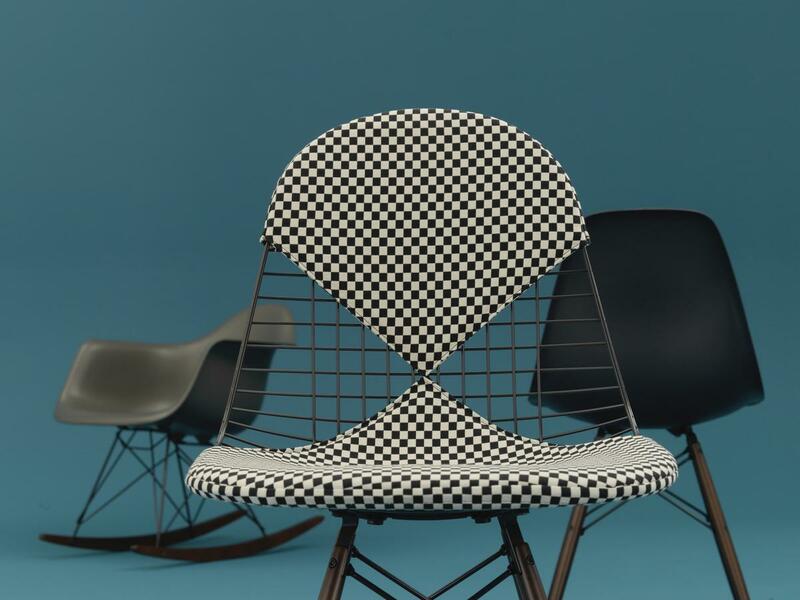 The various Seat Dot combinations cover a wide variety of styles and tastes and invite you to rediscover design classics like the Eames Plastic Chairs.